The University of the Fraser Valley will be hosting two guest speakers presenting on the psychic landscape of contemporary colonialism. Taiaiake Alfred and Jeff Corntassel, both professors in indigenous governance from the University of Victoria, will be speaking on Wed, Jan 25, from 4 to 5:30 pm at University House (changed from room B121) on the UFV Abbotsford campus. Taiaiake Alfred (Bear Clan Mohawk) is a professor in indigenous governance and in the political science department at the University of Victoria. He specializes in studies of traditional governance, the restoration of land-based cultural practices, and decolonization strategies. He is a prominent Indigenous intellectual and advisor to many First Nation governments and organizations. He has been awarded a Canada Research Chair, a National Aboriginal Achievement Award in the field of education, and the Native American Journalists Association award for best column writing. 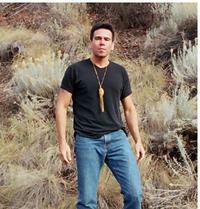 Jeff Corntassel (Cherokee Nation) is an associate professor in indigenous governance at the University of Victoria. His research focuses on Indigenous sustainable self-determination and resurgence movements around the world. He is currently completing an edited volume entitled The Power of Peoplehood, and is examining how Indigenous communities are strategizing to regenerate their land-based and water-based cultural practices amidst ongoing colonial encroachment and cultural harm. This event is co-sponsored by the UFV Race and Antiracism Network (RAN), the office of the Provost & VP Academic, office of the Senior Advisor on Indigenous Affairs, and the Political Science department . Free event – all welcome!